Born in St. Ives in Cornwall, Quick moved to London in 2010, and has been working for Hawksmoor ever since. Starting out as a waiter with an interest in wine, Quick lived up to his name and soon worked his way up to becoming a sommelier. Rising further up through the ranks, in 2011 he was appointed head sommelier at Hawksmoor Seven Dials. During his eight years at the popular steakhouse group, Quick has seen Hawksmoor grow from its Spitalfields base and little sister in Covent Garden to an eight-strong chain with sites in Knightsbridge, Piccadilly, Guildhall and Borough, and further afield in Manchester and Edinburgh. 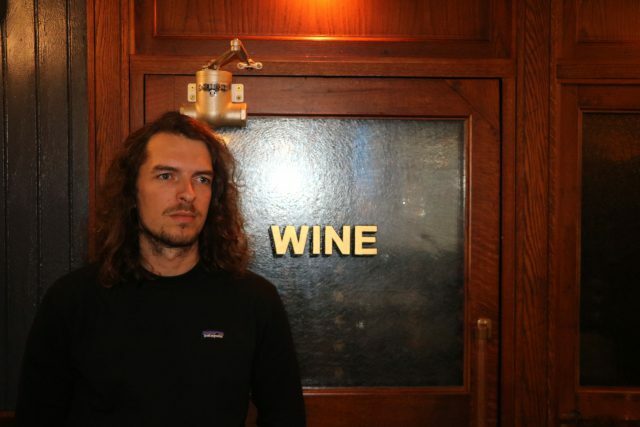 Today, Quick is wine director for the Hawksmoor group, which means he is in charge of the lists of all eight sites and wine training for the group. He is also the chief wine buyer for the firm, and is keen to instill a passion for wine among his team. As you might expect, the wine list is geared around drops that make for magical pairings with steak, which Quick says he considers every step of the way when looking at new wines. While a few of the wines are popular enough to be listed at each of the eight sites, Quick gives the head somms at each Hawksmoor autonomy to list whatever wines they think are on the money in the mid-to-high end of their lists, which, “helps create an overall feel for the Hawksmoor wine lists while keeping things interesting and representing the somms’ tastes,” he says. The lists are predominantly made up of reds, which isn’t surprising given the meat-heavy menu, and the Old-World-to-New-World split is a democratic 50/50, made up of producers great and small. His best seller is, of course, a Malbec, but a “bloody good” one at that. Among the heavy hitters on his lists are: Dom Pérignon, Ridge Monte Bello, Comtes-Lafon’s Montrachet, Vega Sicilia and Henschke Hill of Grace. Over the years, the people behind the wines have become as important to Quick as the liquid inside the bottle. Quick’s role requires an eagle eye and a nimble mind, as the lists across the group change every week. His greatest challenge, however, is teaching staff the WSET level 2 course.